Photo Gallery Thursday "SICIS Funky Pink Chair"
When walking in Soho, you never know what you will find. 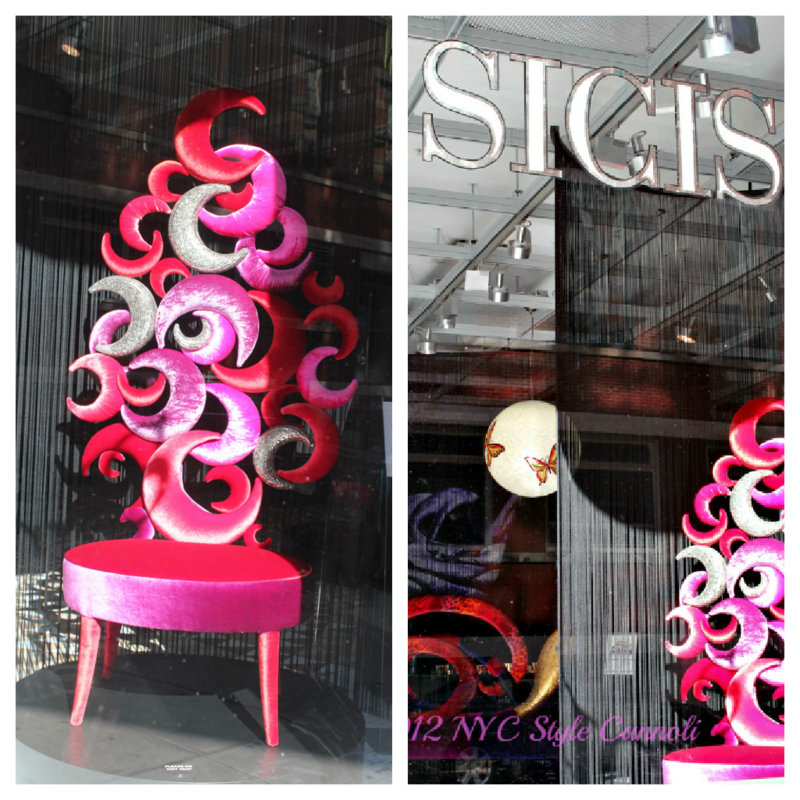 This really funky chair caught my eye at the shop SICIS , an art factory. They make amazing mosaics as well as jewelry. Located on Broome Street, you can stop by MarieBelle Cafe for a light bite afterwards! Wow. This one reached the moon. Speechless here. That chair is awesome! Sometimes all you need is that one statement piece! I thought it was pretty darn cool, to say the least! The colors and design are just so unique. Very true Sharon indeed on a statement piece - this is one for sure! !